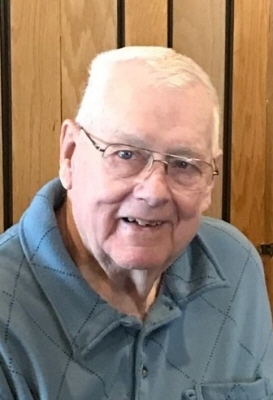 Franklin L. Brown, age 86 of Hartford, Wisconsin passed away Tuesday, April 2, 2019 at Serenity Villa in Slinger, WI. Franklin was born on November 9, 1932 to Lee and Armella (nee Rohlinger) Brown. He was united in marriage to Rosemary Baus on September 1, 1956. Franklin served his country in the United States Marine Corp during Korean Conflict. He worked many jobs over the years, including at the Gehl Co., Wisconsin Recreation and Big Rivers. After retirement Frank and Rosemary were snowbirds in Florida and spent many summers in Indiana until he was homesick for his children and grandchildren and moved back to Wisconsin. Franklin is survived by his 5 loving children, Jo Ann Lisocki, Robert (Debbie), Gerald (Pam), Patrick (Gail) Brown, Carol (Danny) Schmidt; 13 cherished grandchildren, Matthew (Maureen), Michael (Tiffany), Marcus (Ashley) Lisocki, Jocelyn (Brad) LaVen, Rachel Brandl, Ben, Becky, Zachary, Mason, and Lucas Brown, Brian (Amanda), Donny, and Kyle Schmidt; 8 cherished great-grandchildren, Timmy, Margaret Mary, Maureen, Bentley, Hudson, Tinley and Gracie Lisocki, and Avalynn Stewart and future great-grandson August LaVen; and dear brother James Brown and sister-in-law, Josephine Baus. He is further survived by many loved nieces, nephews, other relatives and friends. He was preceded in death by his wife Rosemary, parents, parents-in-law, 2 brothers-in-law, Norman and Robert Baus; 2 sisters-in-law, Pat Baus and Maryln Brown and son-in-law, Joseph Lisocki. A Mass of Christian Burial for Franklin will be held Monday, April 8, 2019 at 10:00 a.m. St. Peter Catholic Church (200 E. Washington Street Slinger, WI 53086) with Very Rev. Fr. Richard (Rick) Stoffel officiating. Family will greet relatives and friends on SUNDAY, April 7, 2019 at the Shimon Funeral Home (824 Union St. Hartford, WI 53027) from 1:00p.m.-4:00p.m. The family would like to express their sincere gratitude to the staff at Serenity Villa for their wonderful care of Franklin. To send flowers or a remembrance gift to the family of Franklin L. Brown, please visit our Tribute Store. "Email Address" would like to share the life celebration of Franklin L. Brown. Click on the "link" to go to share a favorite memory or leave a condolence message for the family.